I'm in the process of trying to translate a PS2 game named "Dokapon the World" but I haven't been able to extract the files on my own. I would appreciate any help in hacking/extracting these cmb files. Thank you! I'm trying to extract text from a PS2 game called 'Dokapon the World' so it can be translated. I've opened up the ISO and looked at the likely files. At first, I thought the text would be in the .bin files but after some inspection, I think the .bin files just emulate Windows and all the data is elsewhere. Which leaves the .cmb archive files. 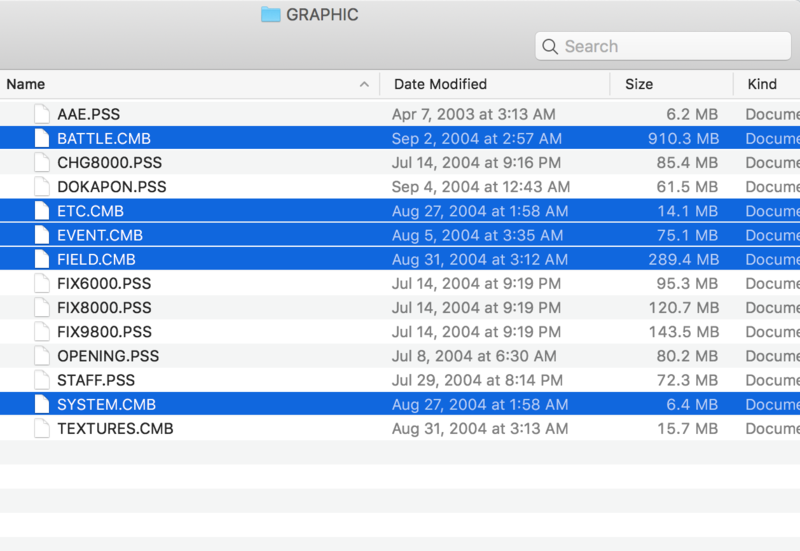 If anyone could take a look at these .cmb files and find a way to uncompress them that would be awesome. I appreciate any help or guidance. Thank you.